In its 34th year of honoring the nation's best high school athletes, The Gatorade Company, today announced Presley Miles of Saint James School as its 2018-19 Gatorade Alabama Girls Cross Country Runner of the Year. Miles is the first Gatorade Alabama Girls Cross Country Runner of the Year to be chosen from Saint James School. The award, which recognizes not only outstanding athletic excellence, but also high standards of academic achievement and exemplary character demonstrated on and off the racecourse, distinguishes Miles as Alabama's best high school girls cross country runner. Now a finalist for the prestigious Gatorade National Girls Cross Country Runner of the Year award to be announced in February, Miles joins an elite alumni association of past state award winners in 12 sports, including Lukas Verzbicas (2010-11, 2009-10 Carl Sandburg High School, Orland Park, Ill.), Megan Goethals (2009-10, Rochester High School, Rochester Hills, Mich.), Jordan Hasay (2008-09, Mission College Preparatory Catholic High School, San Luis Obispo, Calif.) and Chris Derrick (2007-08, Neuqua Valley High School, Naperville, Ill.). The 5-foot-3 sophomore raced to the Class 3A individual state championship this past season with a time of 17:49.94. Miles also captured victories at the DEW It on the Trails Invitational, the American Christian Academy Invitational, the Jesse Owens Classic (Green division), the TCBY Invitational, the Saucony Battle of Atlanta and the Section 2 championship. She placed 17th at the Nike Cross Nationals Southeast Regional championship. A devoted member of her church community, Miles has served as a Sunday School and Vacation Bible School teacher and has volunteered locally on behalf of food drives for the needy as well as the Montgomery Multisport Charities student board. "Of all the athletes I've coached during the past 38 years, Presley is the most dedicated," said Saint James coach Kevin Madden. "Although she's just a sophomore, she's actually captain of the team, and one of the best leaders I've observed at the high school level. Her commitment is astounding, and she's a genuine superstar person." Miles has maintained a 4.0 GPA in the classroom. She will begin her junior year of high school this fall. 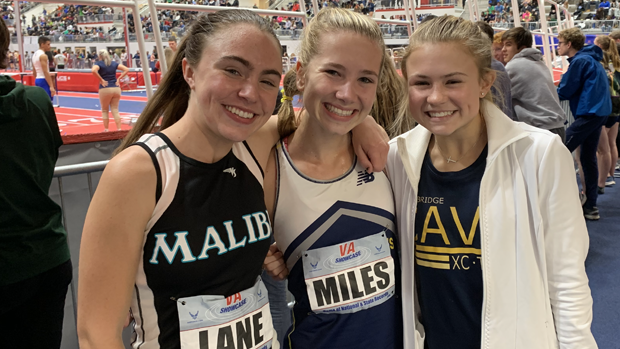 Miles joins Gatorade Alabama Girls Cross Country Runners of the Year Amaris Tyynismaa (2017-18 & 2015-16, Montgomery Catholic Preparatory School), Lainey Phelps (2016-17, Homewood High School), Kaitlin York (2014-15, American Christian Academy), and Karisa Nelson (2013-14, T.R. Miller High School) as athletes who have won the cross country award since its inception in 2007. As a part of Gatorade's cause marketing platform "Play it Forward," Miles has the opportunity to award a $1,000 grant to a local or national youth sports organization of her choosing. She is also eligible to submit an essay to win one of twelve $10,000 spotlight grants for the organization of choice, which will be announced throughout the year.